WFP (World Food Programme) Indonesia Country Office is seeking potential candidate for the position of EPR Activity Manager (Jakarta based). 87. 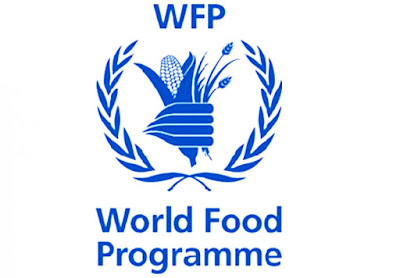 At the request of the National Disaster Management Agency , WFP will advise on the design and location of six logistics hubs as part of the 2015-19 National Medium-Term Development Plan and will provide training and technical support for the management and technical teams of these hubs. WFP will also support the Government in designing a logistics master plan and advise on warehouse management, mobile storage and operational capacities, and transport. WFP will assist the National Disaster Management Agency and its provincial and district-level counterparts in assessing logistics capacities and establishing an inventory system for emergency equipment and relief items. 88. This activity will determine the most strategic location for each facility; develop design and technical specifications; install warehouse management and commodity tracking systems; develop national and sub-national capacity to run the hubs and respond to emergencies; and ensure that the hubs are effectively managed. 89. In line with its leadership of the global logistics and emergency telecommunications clusters, WFP will undertake emergency preparedness and response planning to ensure that it can support the Government’s relief work as requested. WFP will continue to work with the humanitarian country team, local and international NGOs to build capacities and strengthen preparedness.